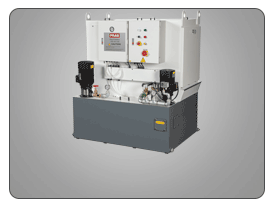 PRAB’s line of vacuum filters eliminate high sludge volume produced in machining centers and grinding applications. 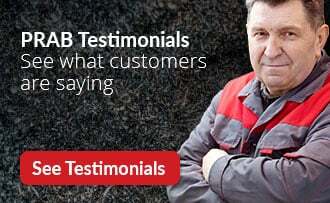 Systems range from standard off-the-shelf units to custom-engineered designs, with filtration capability up to 3,000 GPM for efficient, high volume fluid filtration. PRAB permanent media disposable vacuum filtration system models eliminate the disposable media waste stream, adhering to ISO-14001 standards. PRAB Vacuum Filters are virtually maintenance-free, with high sludge volume elimination resulting in lower production costs and continuous operation which decreases downtime. PRAB's line of vacuum filters range from standard off-the-shelf units to custom-engineered systems, with filtration capability up to 3,000 gpm for efficient, high volume fluid filtration. PRAB Vacuum Filters are virtually maintenance-free, with high sludge volume elimination resulting in lower production costs and continuous operation which decreases downtime. 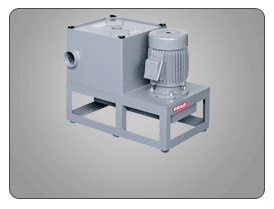 Industrial filtration equipment is available in permanent and disposable media models. 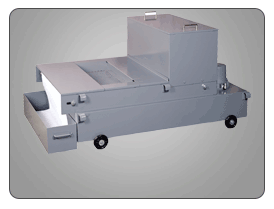 The PRAB Mon-A-Vac™ is a disposable media vacuum filter that maximizes contaminant removal. Filters utilize a vacuum chamber to draw dirty coolant through the disposable filter media. They apply the proven principle of optimal filtration through contaminate or sludge build-up, forming a cake on the filter media. Filtration is maximized as caking builds up on the media. Standard vacuum filter units are available with flow rates up to 3,000 GPM. 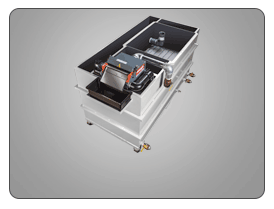 The PRAB Mon-A-Matic™ is a semi-permanent media vacuum filter that removes particulate down to 10 microns. This vacuum filter uses a synthetic filter media to reduce operational costs while providing fine particulate removal. Backflushing the filter with clean coolant keeps the filter clean and eliminates the need for large volumes of air. The backflushed solids drop from the filter element and settle into a tank where they are removed via an automatic chain dragout.